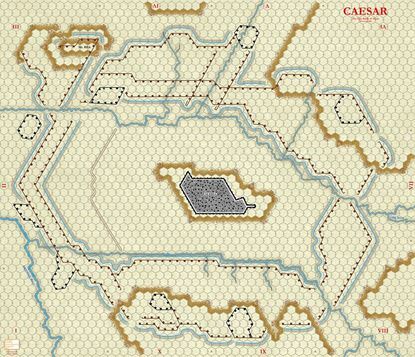 We re-engineered the Alesia maps for use with 1/2in counters. This map measures 28x32.5in. Original game map Re-Engineered instead of scanned. Half inch squares. Single board sized clips from the expansion map. 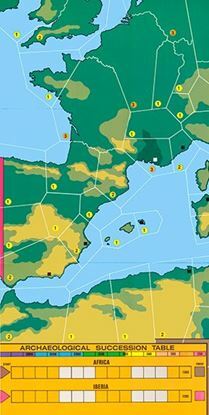 Two east and two west maps for two players. A reproduction of the original eastern expansion map. A reproduction of the original western expansion map.